We tend to think of Hawaii as a group of islands bathed in tropical warmth and sunshine. Hawaii is, after all, known for its stunning beaches and clear, blue water. So it may surprise mainlanders to know that, in ancient Hawaiian folklore, there were stories of Poli’ahu, the Hawaiian goddess of snow. And it would be even more surprising to learn that one of the prominent tales about Poli’ahu involved a Hawaiian sledding competition. 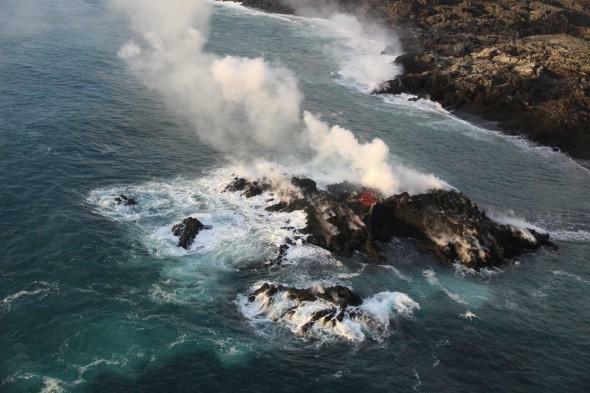 The legend of Poli'ahu serves as a reminder that the volcanic islands were formed from fire and ice. One of the most well-known of all the Hawaiian goddesses is Pele, the goddess of fire and volcanoes who is associated with Mount Kilauea. But Pele is just one of several daughters born to the Earth goddess, Haumea, and the god of the sky and heavens, Kane Milohai. 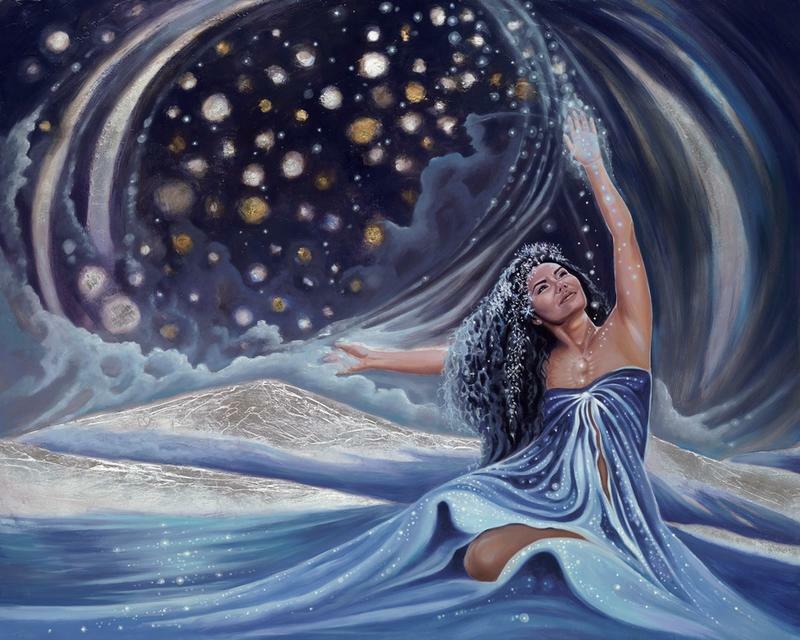 Pele’s older sister, Poli’ahu, was the most beautiful of all the sisters. 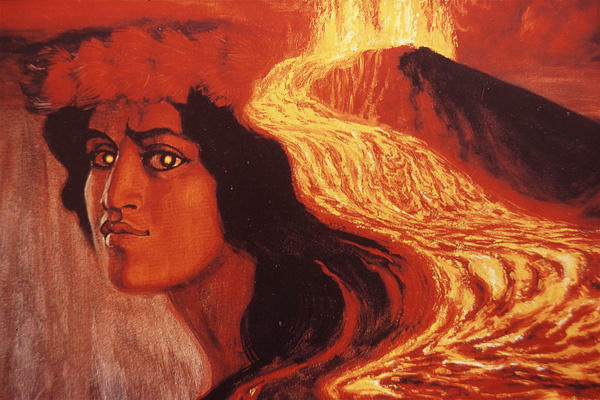 Pele, known for her fiery temper, was often jealous of Poli’ahu and her beauty. 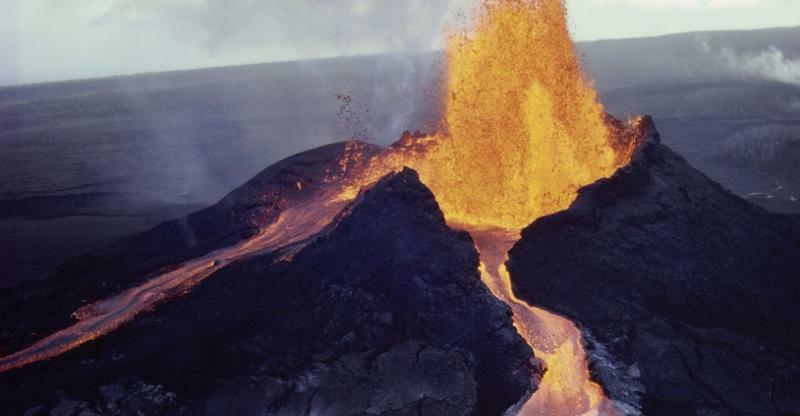 According to Hawaiian folk tales, Poli’ahu made her home in the snow-capped summit of Mount Kilauea, but Pele claimed the whole mountain for herself. 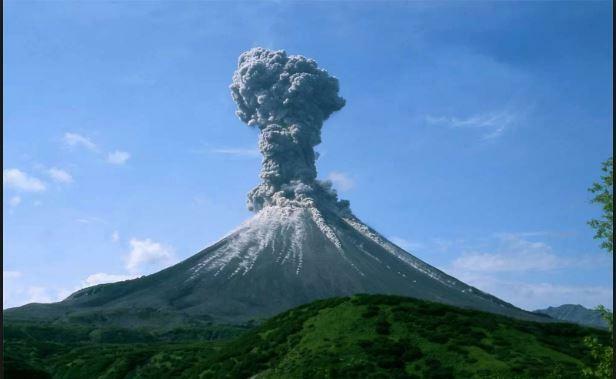 Because Mount Kilauea is a volcano, Pele believed that it fell under her control. But big sis Poli’ahu disagreed. This was a sore spot between the sisters. We don’t often associate Hawaii with sledding, but Holua sledding was actually a favorite sport of Hawaiian nobility…and a dangerous one. Racing down the hardened lava on the icy slopes of Mount Kilauea was one of the Poli’ahu’s favorite pastimes. Sledders could reach speeds of fifty miles per hour over rocky, unpredictable terrain. 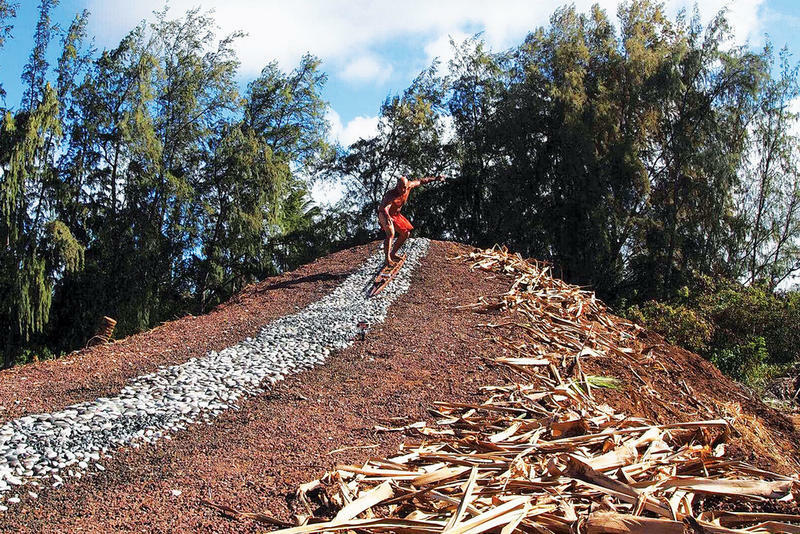 According to the Hawaiian stories, Poli’Ahu and three of her friends, Lilinoe, the mist of the mountain, Ka Houpo o Kane, freshwater springs, and Waiau, the underground reservoir under the volcano, were enjoying a day of holua sledding when a stranger approached them. The stranger asked to join their race but did not have her own sled. Poli’ahu graciously loaned her one of her own sleds. Poli’ahu easily won the race, but the stranger complained that it was because she had the better sled. So Poli’ahu swapped sleds with her and offered a rematch. Again the snow goddess, Poli’ahu was the fastest sledder and won the second race. The stranger was furious and reacted with an explosive temper. She then revealed herself to be Poli’ahu’s younger sister, Pele, in disguise. Pele was known for her great temper. After losing the sled race, she caused the ground to shake and smoke poured out of the cracks in the earth. The furious Pele was so angry at her sister, Poli’ahu, that she made Mount Kilauea erupt, sending fire, smoke, and lava hurling down the mountain. Pol’ahu and her three friends joined forces to fight Pele. The combination of snow, mist, and water that was used in the battle ended up forming the glaciers on the mountain. Poli’ahu threw snow on Pele’s lava flows, instantly freezing them on the southern end of the island. In the end, Poli’ahu allowed Pele to control the southern part of the island but kept control of the northern part for herself. The epic battles fought between the Hawaiian snow goddess, Poli’ahu, and her sister, Pele, the goddess of fire and lava, have forever scarred the landscape of Hawaii. 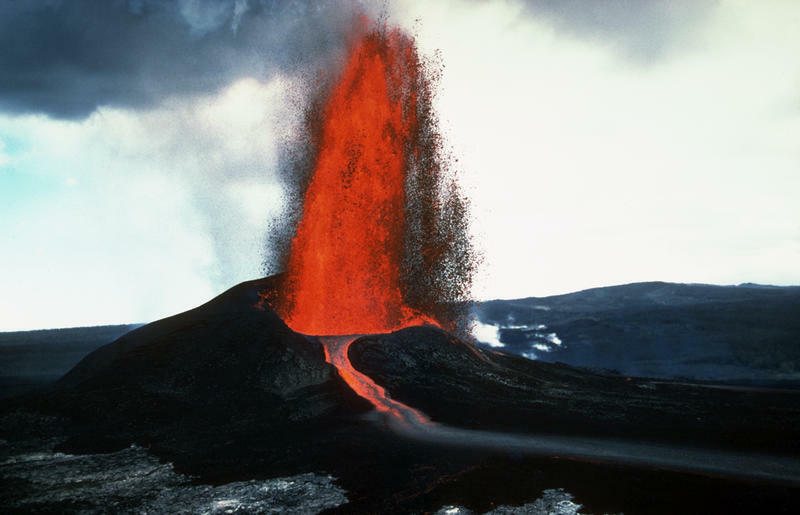 Hawaiian legends contend that the interplay of lava and ice causes the shape of the coastlines and the growth of the mountains.